YOU might have thought that the weight of bikes – since it’s one of the most defining features of their riding experience – would be both heavily promoted and clearly defined. You’d be wrong, though. Despite playing just as important a role as power or torque when it comes to performance, and having a massive influence on handling, weight is often little more than a footnote when it comes to a bike’s specifications. Worse, there’s such confusion over the terms used, and no ‘standard’ that manufacturers have to follow, that it’s hard to even know which figures are comparable. Dry weight? Wet weight? Kerb (or curb) weight? Fuelled or dry? All these are quoted, despite leading to massive variations. So we’re sure that there will be disagreement over this list. Where possible we’re using ready-to-ride weights, including fluids and fuel. Unrealistic dry weights – which often discount things like the battery as well as oil and water – are ignored. We’re also sticking to currently-available models and sticking to road bikes, motocrossers and full-on enduro machines (even those that are nominally roadworthy) aren’t included, or we’d have a list made almost exclusively of KTMs and the like. We’re also focussing on bikes over 125cc to avoid this simply being a list of tiny mopeds. So, here goes. And let us know if there are any we’ve missed out. 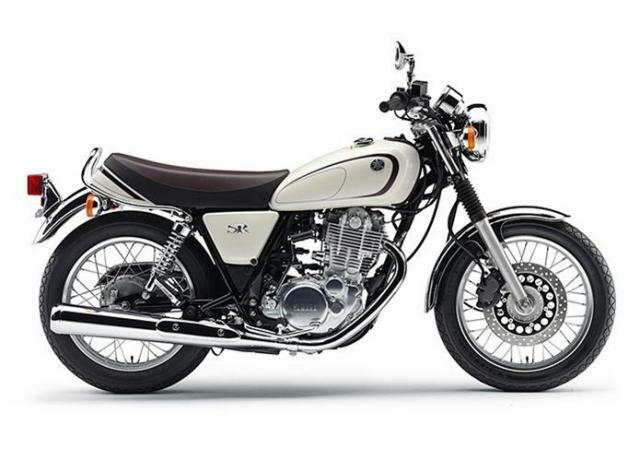 It might not be the newest of designs but the inclusion of Yamaha’s single-cylinder XT660R is an indicator that there’s a clear link between weight and cylinder count. 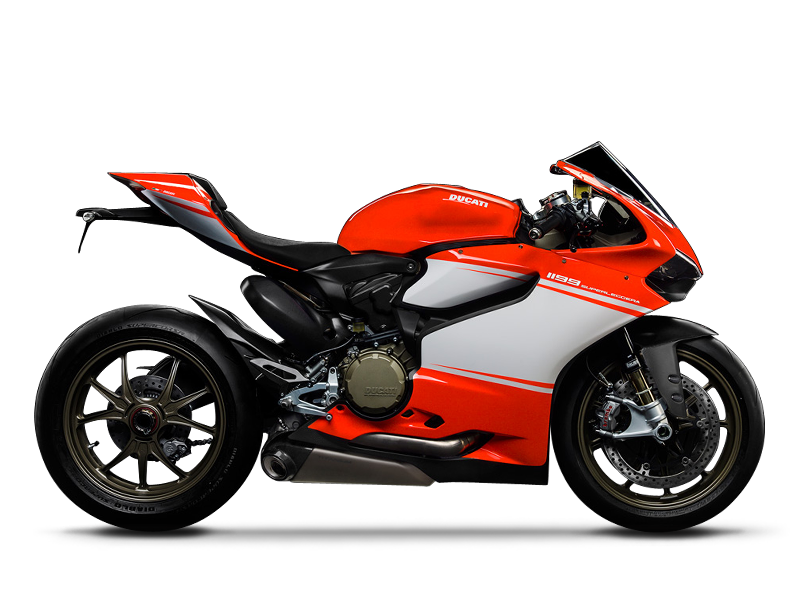 In fact, none of the bikes on our list have more than two cylinders – triples and fours all weigh more once unrealistic ‘dry’ weights are ignored. 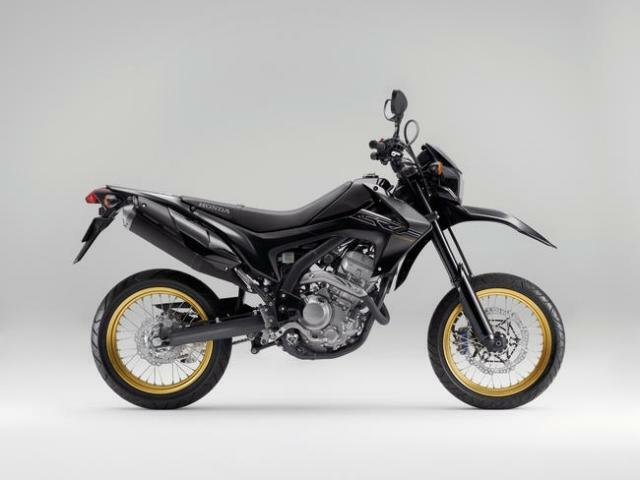 While the XT660R is an ‘adventure’ bike – and its low weight means it’s easier to use off-road than most machines carrying that tag – the similar-looking but supermoto-style XT660X, at 186kg, just missed out on inclusion in the list. However, it’s worth noting that Yamaha’s ‘wet’ weights include fuel, and a 15 litre tank means that with just a splash in there both XTs would be 11kg lighter. Click here to read Yamaha XT660R reviews. There’s already a lot to like about Yamaha’s latest MT models, whether it’s the three-cylinder MT-09’s individuality or the MT-07’s bargain price, but relatively little has been said about weight. The ‘dry’ weight is claimed at 164kg, but the real ‘wet’ number is 179kg, and that’s still seriously light for a 670cc, 72bhp twin. With an empty tank, the weight would be around 169kg. 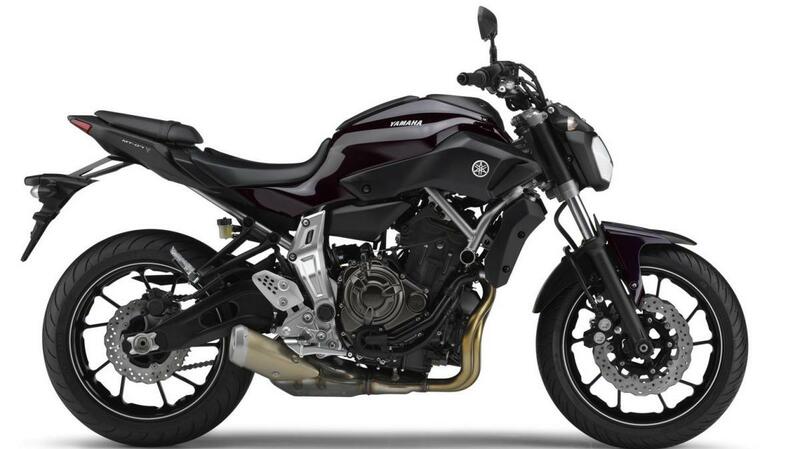 Click here to read Yamaha MT-07 reviews. Click here to read Ducati 1199 Panigale reviews. Another Yamaha slipping onto the list is the newly-returned SR400 – easily the oldest design on the whole list, even if it’s not been available over here for years. At 174kg including fuel it’s a featherweight, although that 23bhp engine means it needs to be. Another bike that can trace its heritage back a fair few years, despite its modern appearance, is the Ninja 300. Maybe they just don’t make ’em as light as they used to. Once again that number includes fuel and all the other fluids, which explains why the 300 appears to be so much heavier than the old 250, which used to have a claimed ‘dry’ weight of just 151kg. Click here to read Kawasaki Ninja 300 reviews. Click here to read KTM Duke 690 reviews. 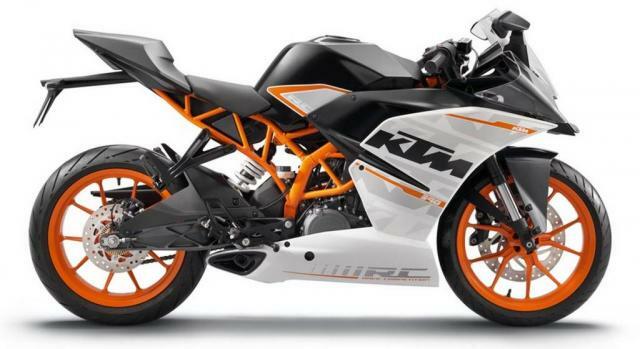 KTM officially claims that the RC390 weighs just 147kg, but that’s without fuel. Fortunately, the tank is only 10 litres, which adds up to another 8kg when it’s brimmed, so it’s still a lightweight when it is ready-to-ride. Click here to read KTM RC390 reviews. Another KTM, another lightweight. There’s no denying that the lads from Austria know how to pare the pounds. 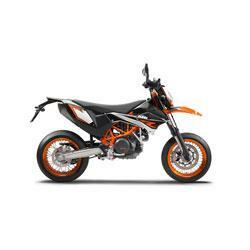 As with the other KTMs, the official figures don’t include fuel, so on paper the SMC-R is just 140.5kg. Add another nine-and-a-bit for the 12-litres of fuel it carries and it scrapes just below 150kg. 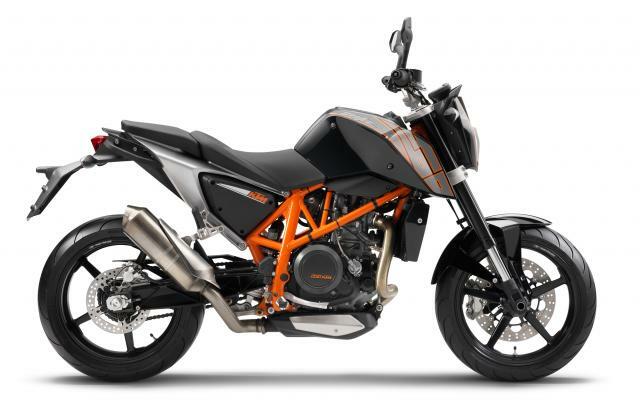 Click here to read KTM 690 SMC-R reviews. With the Duke 690 in number 5 spot, it should come as no surprise to see the smaller 390 model ahead of it. And at 147kg including 11 litres of fuel, it earns its podium position. 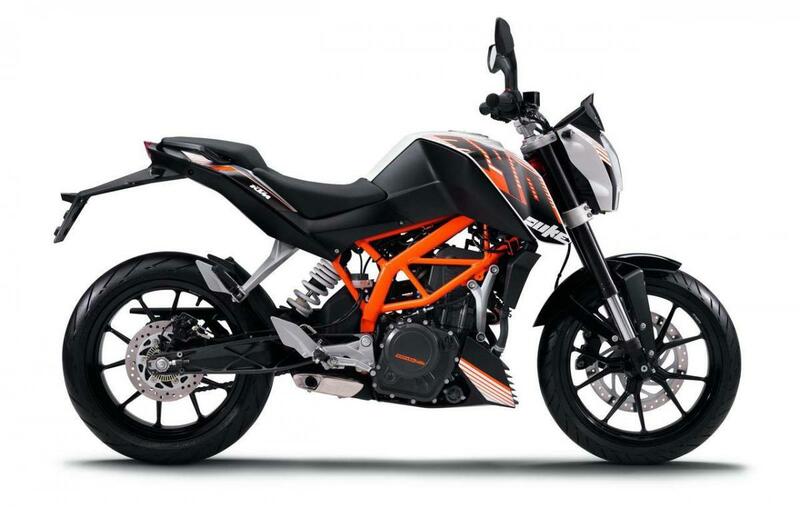 Click here to read KTM Duke 390 reviews. Whether you opt for the supermoto-style ‘M’ or the enduro-style ‘L’ the little CRF is a featherweight. Honda doesn’t specify whether the claimed weights include fuel or not, but they are kerb figures as opposed to unrealistic ‘dry’ numbers. The tiny 7.7 litre tank won’t make much difference, full or empty, anyway! Click here to read Honda CRF250 reviews. 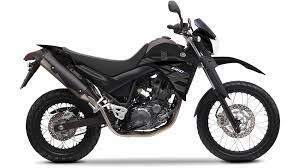 The KLX is just about enough of a road bike – as opposed to a real enduro machine – to make it onto our list. And at only 138kg it’s at the top, too. 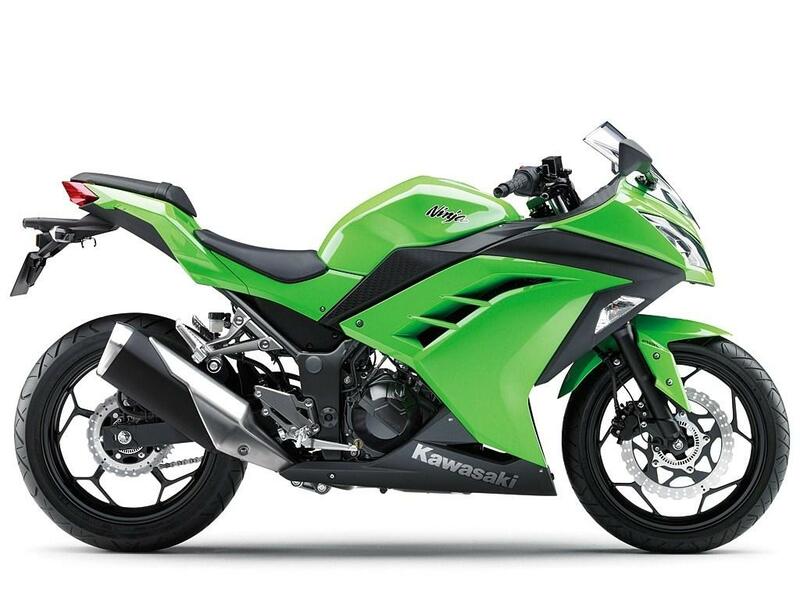 We’re not 100% certain whether the figure includes fuel, but most of Kawasaki’s weight numbers do and even if it doesn’t, the tiny 7.7 litre tank will only hold 5.8kg of petrol, so it would be number one either way. 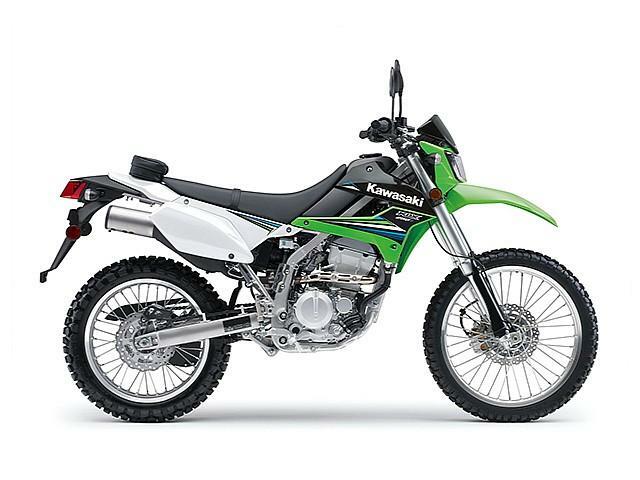 Click here to read Kawasaki KLX250 reviews.